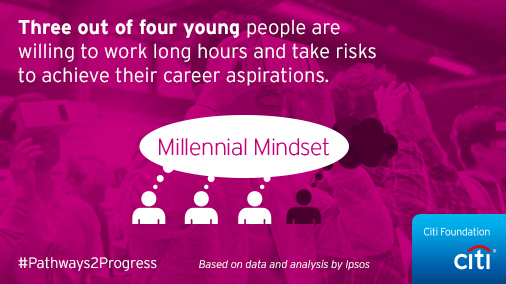 The Citi Foundation invests in programs that help young people, ages 16-24, pursue their career and economic ambitions by connecting them to on-ramps to opportunity. 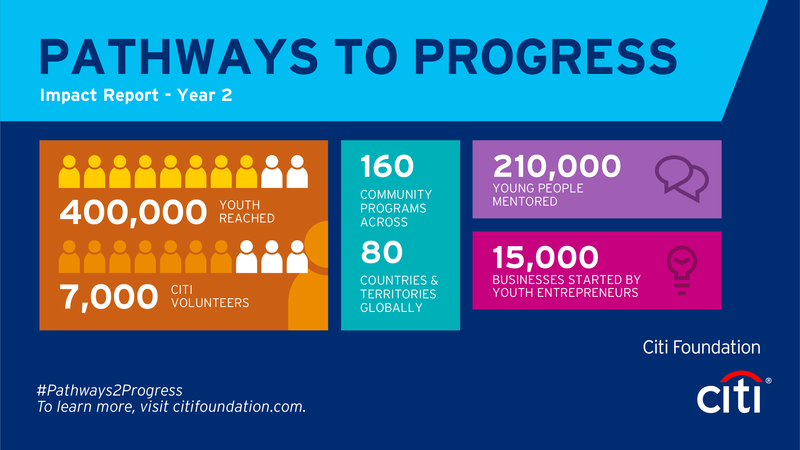 In 2017, the Citi Foundation announced its largest philanthropic commitment ever with the global expansion of Pathways to Progress, our response to persistent youth unemployment. 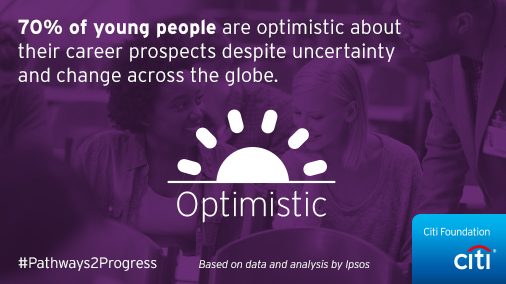 By 2020, we will invest an additional $100 million to impact the lives of 500,000 youth globally. Citi will also engage at least 10,000 employees as volunteers, serving as mentors, coaches and role models to young people in support of their career progress and aspirations. For more than 30 years, Citi and the Citi Foundation have been working with JA Worldwide to help young people across the world reach their full potential through access to entrepreneurship and employability training. The Citi Foundation is committed to supporting research that helps advance the field of youth economic opportunities. 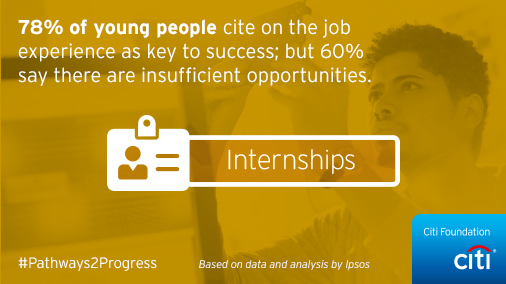 Pathways to Progress is Citi and the Citi Foundation's response to the persistent issue of youth unemployment globally. We have invested more than $90 million towards the Citi Foundation’s three year commitment to connect youth to jobs, reaching more than 400,000 youth. Pathways to Progress programming is being implemented globally. Click on a region to learn more.